We have a wide variety of products ranging from Counters, Measuring Instruments, Thermometers, Tachometers, Sensors and Laser Products to suit your needs. From a highly industrial applications (OEMs, industrial machine equipments, etc.) to “the everyday use” products (hobbyist, household, etc. 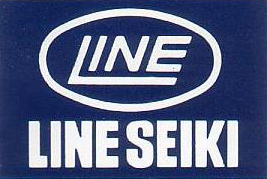 ), Line Seiki has something to satisfy your counting or measuring needs. Looking for a product to suit your specific application. Look no further! Electronic Counters: Our Electronic Counters range consists of Totalizers, Single/Multiple Preset type, Self-Powered, Communication type and Large Displays. These are available in LED or LCD display types and it comes in different panel sizes and digits sizes. Electromagnetic Counters: Our Electromagnetic Counters are available in Totalizer or Preset type. Choose from different mounting styles and sizes. Mechanical Counters: Our Mechanical Counters are designed and built to last for a long time with its robust and sturdy designs. Totalizer or Preset Types are available and it comes in different sizes and mounting styles. Available in Ratchet (one count/drive saft actuation approx. 45deg), Rotation (1 count/one shaft rotation) or Direct Drive (10 counts/one shaft rotation). Length Measuring Counters: Our Length Measuring Counters are designed specifically for length measuring or cut-to-length applications of various materials such as Plastic or Metal sheets, Textiles, Cables, etc. Resolutions from 1 mm, 1 cm, 1/10 meter, 1 meter, model dependent. Shut Height Counter: Our Shut height Counters/Slide adjuster are designed for press machines and various machine tools to adjust the die height or the shut height. Upper and Lower limit output is available and it comes in different sizes. Tally Counters: Our Tally Counters makes counting easy even for the complicated tally counting application. Availaible in Single Mechanical or Electronic Hand Tallies, or Single or Ganged Multiple Mechanical of Electronic Tallies. Applications include, Security, Surveys, Traffic Flow, Medical, Agriculture. Timers: Our Timers range provides measurement of elapsed time in Hours, Minutes or Seconds. Lithium Battery powered, LCD Display in 1/16 Din Housing. Contact closure, Low Voltade or Wide Voltage AC/DC input Types. Measuring Instruments: Our Measuring Instruments range is a collection of test instruments using microprocessor technology to measure different parameters such as Temperature, Humidity, pH level, water quality, wind velocity, electrical, etc. Tachometers: Our Tachometers range is designed specifically for speed/rate measurement and control. Hand-held type and Panel Type tachometers are available to suit any degree of user. Sensors: Our Sensors range is a collection of auxiliary products to address the sensing needs of our products. These are completely compatible with our Counters range. Encoders, Proximity’s, and Photo electrics. Associated accessories such as Couplings and Measuring Wheels, reflective tape etc. Lasers: Our Lasers range is a collection of products using the laser technology. These products are designed using a highly sophisticated technology but very safe for anybody to use.